Today a spectrometric test using that previously mentioned Petri Kuribayashi f3.5/35mm lens, compared to a Kyoei Acall f3.5/180mm lens in M42 thread mount, as a proof that both actually have a very different lens transmission, especially in UV. 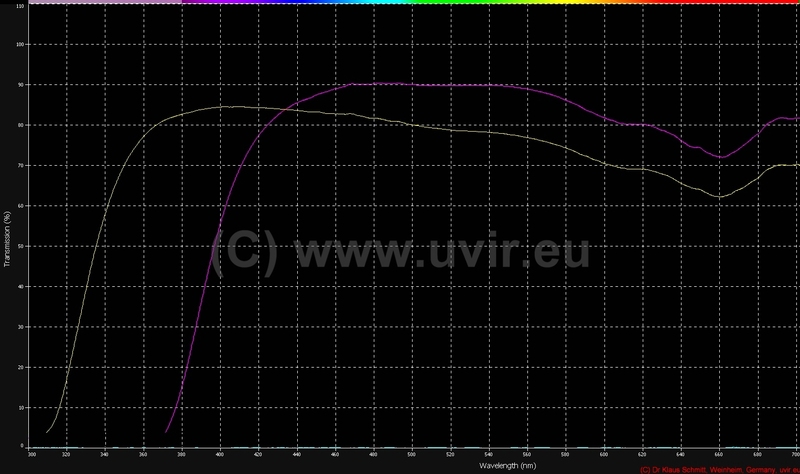 The Kuribayashi 35mm reaches much deeper into UV, even a bit below 320nm and shows a rather high UV at 365nm transmission of over 80%. However the Kyoei Acall f3.5/180mm tele lens seems to be a very different beast, as it has no useful at all UV transmission! 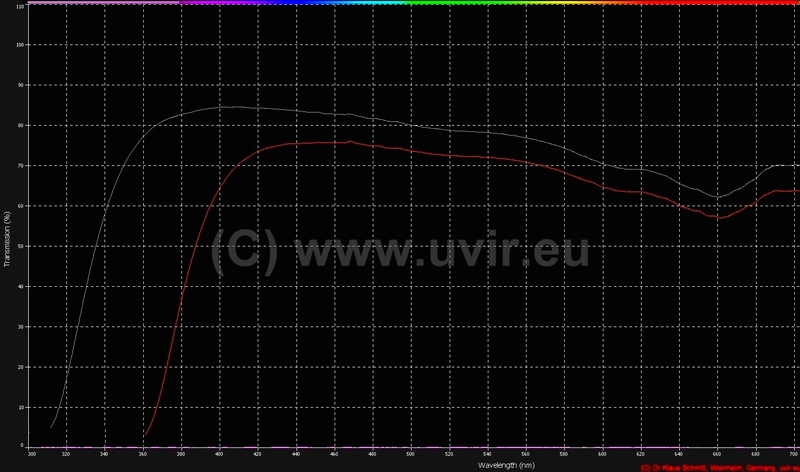 Today a spectrometric test using that previously mentioned Petri Kuribayashi f3.5/35mm lens, compared to the W. Acall f3.5/35mm lens in Leica Thread Mount (LTM), as a proof that both actually have a very different lens transmission, especially in UV. 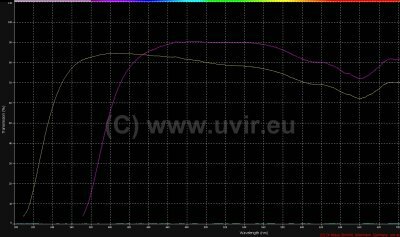 The Kuribayashi 35mm reaches much deeper into UV, even a bit below 320nm and shows a rather high UV at 365nm transmission of over 80%. 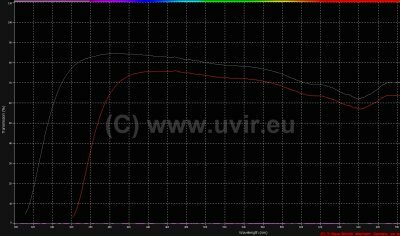 However the similar looking W. Acall 35mm seems to be a very different beast, as it has at 365nm only approx 5% UV transmission, so basically none useful at all!